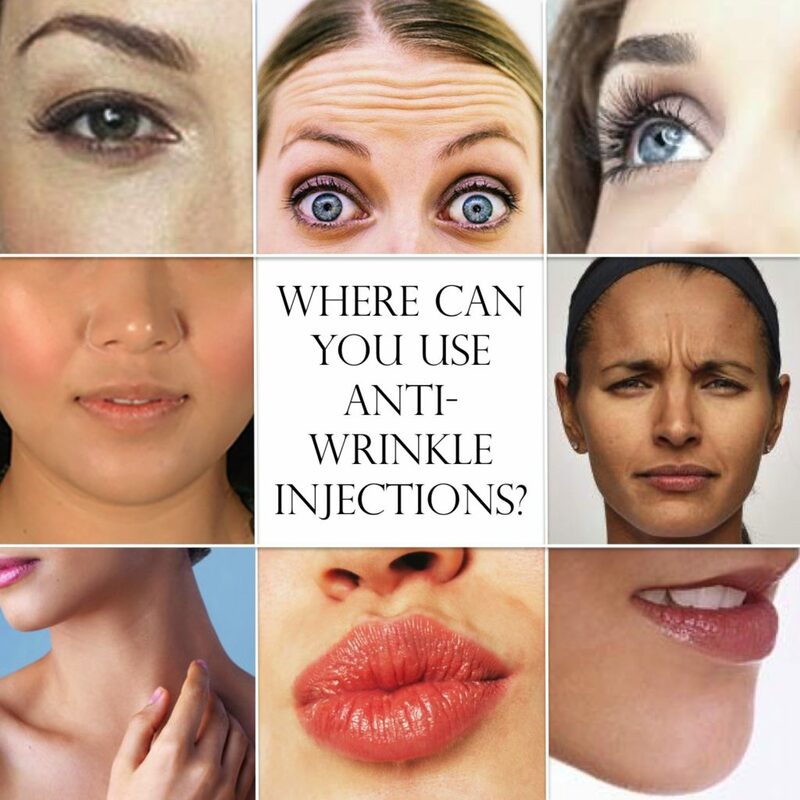 Where can you use anti wrinkle injections? In fact, because these are the most common areas, many clinics charge simply by areas; one, two or three. The masseters for facial slimming – thanks Kim Kardashian for highlighting this treatment! Any asymmetry in the face – for instance in cases of stroke or Bells Palsy. Treating some of the areas around the face, in particular, the frown and forehead, can also have the benefit of reducing migraines and headaches. Another common use of anti-wrinkle injections is to use them under the arm to stop excessive sweating, or hyperhidrosis. Eye disorders such as strabismus (crossed eyes) and blepharospasm (uncontrolled blinking and twitching). And there are more. Trials are being undertaken to discover new uses of botulinum toxin type A as a medical treatment option for other conditions too. So watch this space to see what else it can do. That little substance that smoothes away your lines is pretty useful for many, many things.